I went into Target today with no specific goal, per usual, and of course found something. As soon as I walked into the clothes section I spotted a sweater that I wanted. I love when you are thinking about a certain item you want and then you accidentally come across the perfect version (because do we ever find anything when we are actively looking for it? No.) I checked the Target Cartwheel app. and it had a coupon for 40% off women’s sweaters! Obviously meant to buy it so into the basket it went. For anyone who doesn’t use the Target Cartwheel app. please check it out. I have been using it for about 3 years now and I have saved $435.76 total! Anyways my new sweater is the perfect shade of light pink, super soft, oversized, and cable knit. If there is anything better than a sweater, it is an oversized sweater. I also bought the essie gel couture polish in Touch Up and the top coat. I haven’t tried it yet but I am pretty excited to, hopefully tomorrow I will have more time to do it. I have been trying to be better and save money and NOT get my nails done at a salon so we will see how long this gel polish lasts without chipping. I will test it out and report back! Lastly, I am so excited. 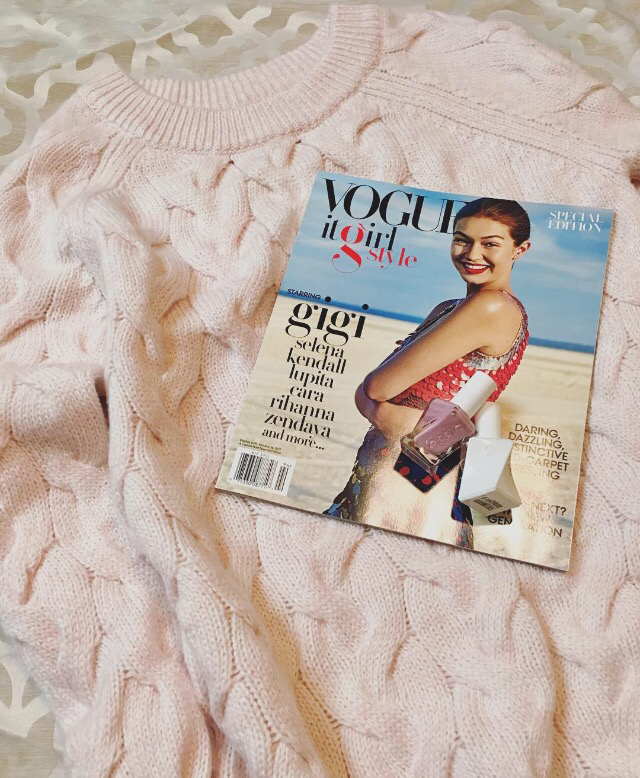 I saw Gigi Hadid post a picture of the cover of the Vogue It Girl Style on her insta. not too long ago (because I am obsessed with her), and I had to have it! I was sad when I realized that it was an October edition and not in any stores anymore. I looked on Amazon because that was how determined I was to have it, and I found it! So worth it because it is BEAUTIFUL. I decided that my favorite Vogue covers are going to be my new collection. I have this one to add to my other favorite, the Taylor Swift cover (yeah whatever I am kind of nerdy but its cool!). 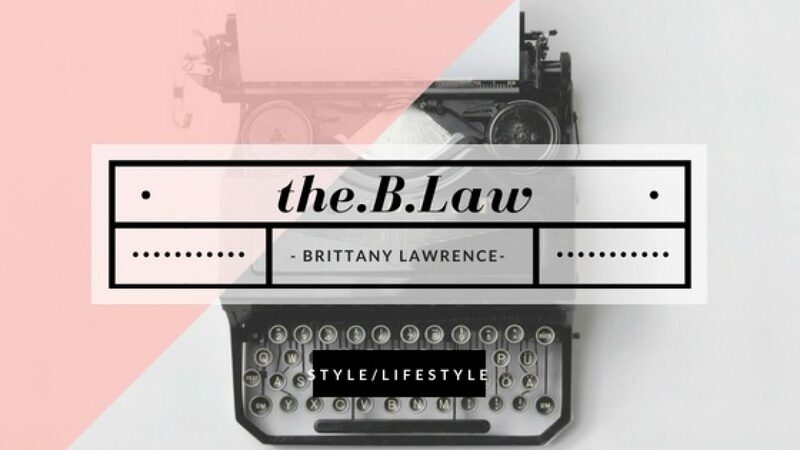 Check out all of my little finds below and have a great night! Good morning and hello Spring! Yes today is the first day of Spring and I couldn’t be more excited. Well I could if it was Fall. Fall and Spring are my two favorite seasons. Why? For the fashion of course! Fall is when it starts to cool off, but not freezing, and you get to wear sweaters and tights. Spring is when it starts to get warmer, but not too warm, and we get to break out the shorts, tanks, and sun dresses. There are always the typical Spring trends like florals and brighter colors, but there are so many ways to style these. There is so much pattern mixing right now and I am ready to embrace it. I cannot wait to see what I can make out of what I already have in my closet. In honor of the first day of Spring I had to do bright nails! 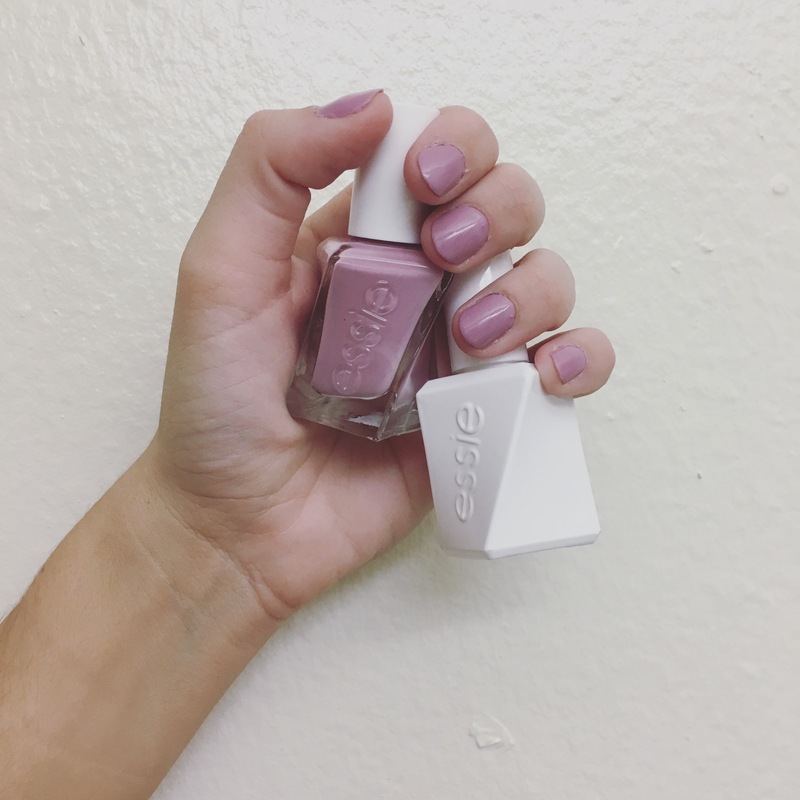 This is one of my favorite Spring and even Summer colors “tart deco” by essie. 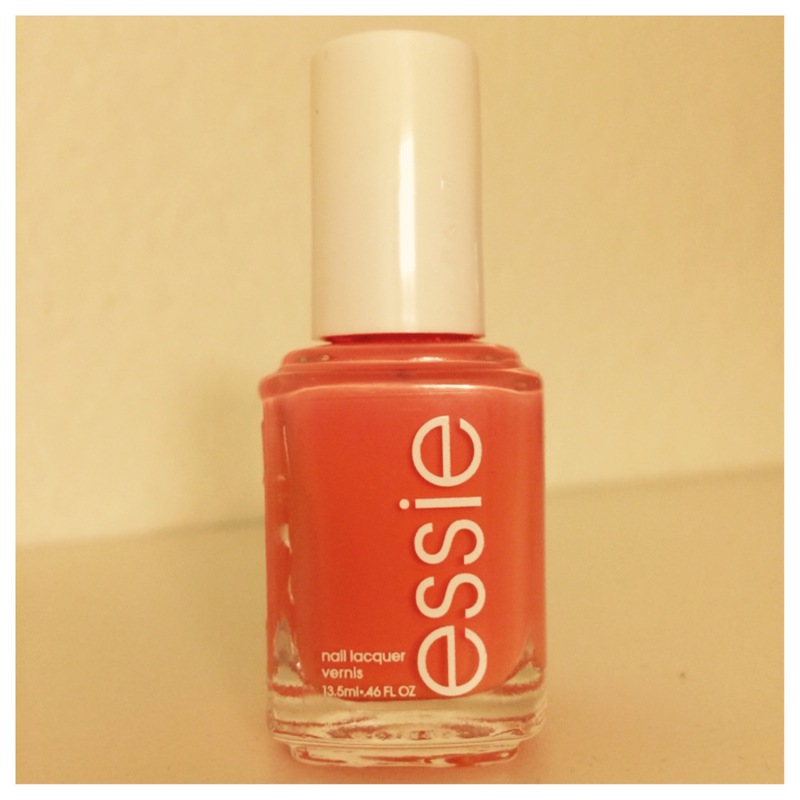 This coral color is so fun and stands out, and not to mention makes your hands look tan. Of course I had to top it off with my essie “all in one” top coat. I have a serious nail polish obsession so more Spring colors will be coming and I am so excited! Last week I posted about my new essie nail polishes “turquoise & caicos” and the “all in one” base and clear coat in Hint of Mint. In that post I told you I would give an update about how the “all in one” works. 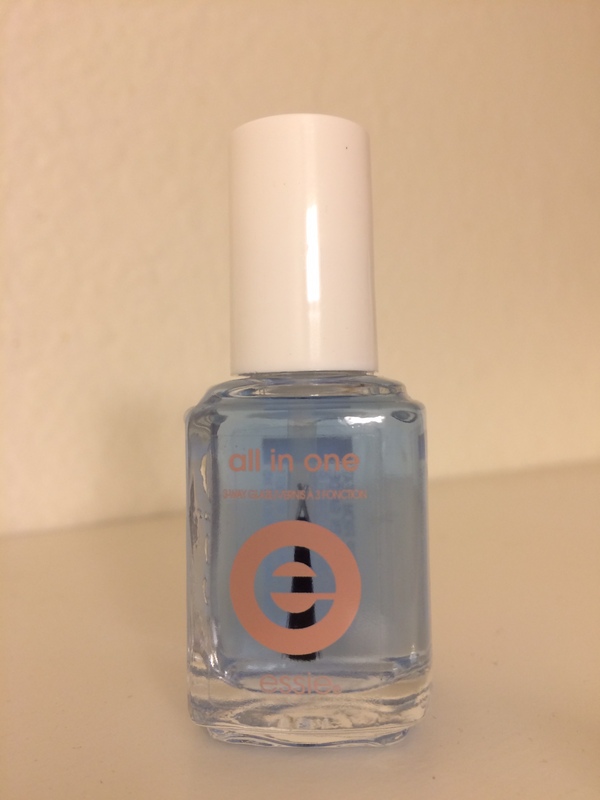 For those of you who didn’t read it, the “all in one” is a base coat, a clear coat, and a nail strengthener, and it works great! My nails are usually super short because I break them all the time, but I have been wanting to grow them just a tiny bit longer and keep them that way. I have only applied this “all in one” twice and I feel like my nails already feel a little stronger. I haven’t broken one yet! Well, I broke one but that was because I cut a corner in the office too tight and hit my hand on the wall, typical. Anyways, not only did the “all in one” work on making my nails stronger, it also is an amazing top coat. My mint nails did not get any chips for four days! I know that does not seem like a long time to some of you, but for not being a gel manicure, four days is pretty awesome. Usually when I paint my nails myself I have at least one chip by the end of the first day. I totally recommend this polish!